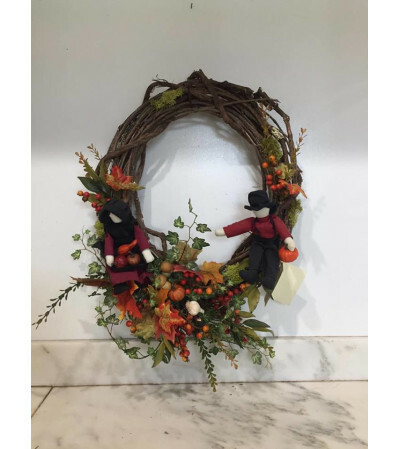 One of a kind fall wreath with leaves, berries, small gourds, and an Amish couple. Can withstand all types of weather, so it will last on any front door. No extra charge for Lexington delivery. For out of town/state, shipping charges vary.